We continue to monitor developments involving the case against Chinese billionaire and his alleged co-conspirators in the UN bribery scandal. 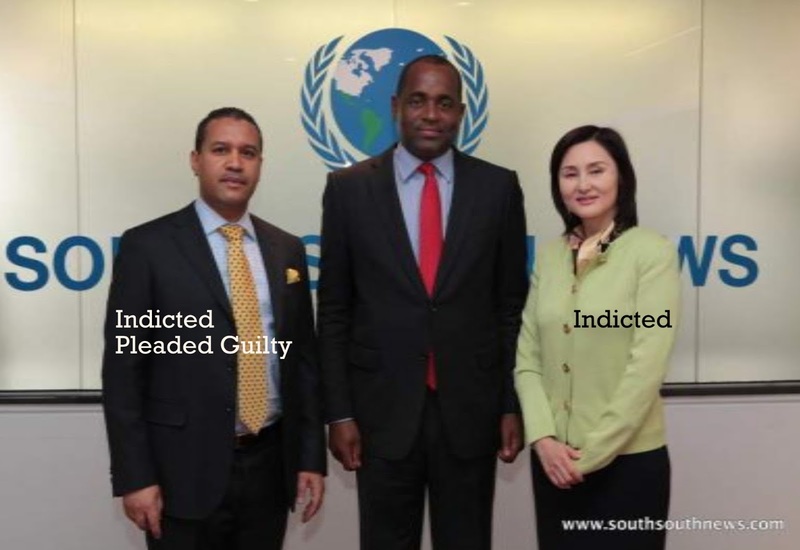 Last week the former deputy Ambassador to the UN from the Dominican Republic Francis Lorenzo pleaded guilty to six counts including Bribery, Money Laundering, Filing False Tax Returns and Failure to File Foreign Bank Reports. 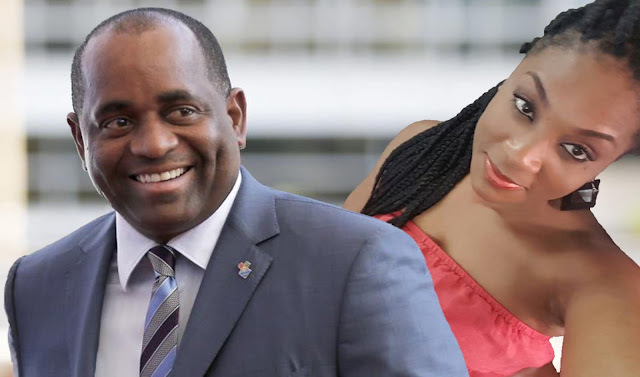 Also last week, the Feds secured an indictment against Julia Vivi Wang (pictured above with Francis Lorenzo and Roosevelt Skerrit). Ms. Wang is charged with Money Laundering. In a previous report we detailed the charges and the scheme Ms. Wang is alleged to have been involved in. MiTC is reporting today that the Feds appear to have obtained guilty pleas from two other individuals arrested and charged in the case. A sentencing hearing is scheduled in April for Heidi Hong Piao, aka "Heidi Park", who was indicted on five counts including Bribery, Money Laundering, and Failure to File Foreign Bank and Financial Records. The other defendant, Shiwei Yan, was indicted on ten counts including Bribery, Money Laundering and Filing False Tax Documents. Both Ms. Piao and Ms. Yan are scheduled to stand before a judge to be sentenced towards the end of April. In an interesting development, a Texas prison inmate Norman Crittendon, has filed an Amicus Brief seeking oral arguments in support of the defendants. Mr. Crittendon, a former gang leader who is currently serving a 65 year prison sentence on theft and weapons charges in a Texas penitentiary, has requested a hearing to consider amici curiae (friend of the court) oral arguments and relevant evidence in his attempt to have the court determine that the government's prosecution of Ng Lap Seng and his alleged co-conspirators be dismissed in the best interest of justice. In his brief, Mr. Crittendon alleges that the government's case is "vague", "incomprehensible" and "unprosecuteable". It should be noted that Mr. Crittendon is well known for filing amicus briefs in favour of high profile individuals. In 2014, he filed a similar brief in a case where then Texas Governor Rick Perry was accused of misusing his veto power in an attempt to force out Travis County District Attorney Rosemary Lehmberg who had been arrested on drunk-driving charges earlier that year. Mr. Crittendon's brief in that case was dismissed and we expect the same in the government's case against Ng Lap Seng. The feds case is solid.